From visionary filmmaker Spike Lee comes the incredible true story of an American hero. It’s the early 1970s, a time of great social upheaval as the struggle for civil rights rages on. 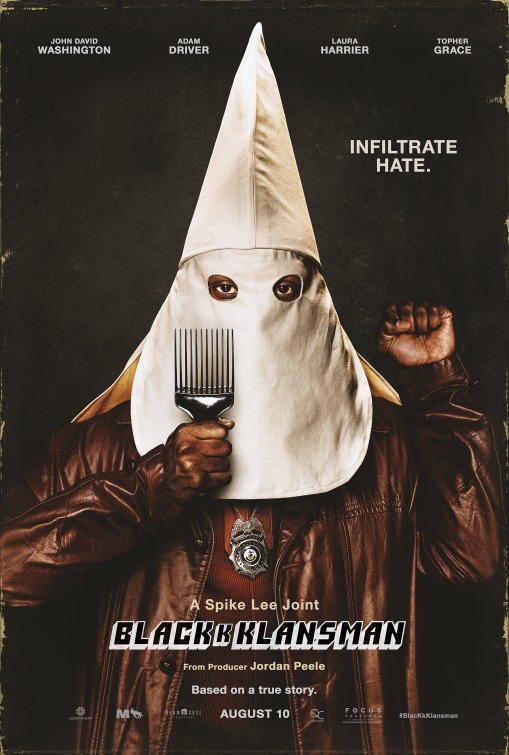 Ron Stallworth (John David Washington) becomes the first African-American detective on the Colorado Springs Police Department, but his arrival is greeted with skepticism and open hostility by the department’s rank and file. Undaunted, Stallworth resolves to make a name for himself and a difference in his community. He bravely sets out on a dangerous mission: infiltrate and expose the Ku Klux Klan.